Running above my math focus board are the Number Anchor Charts. 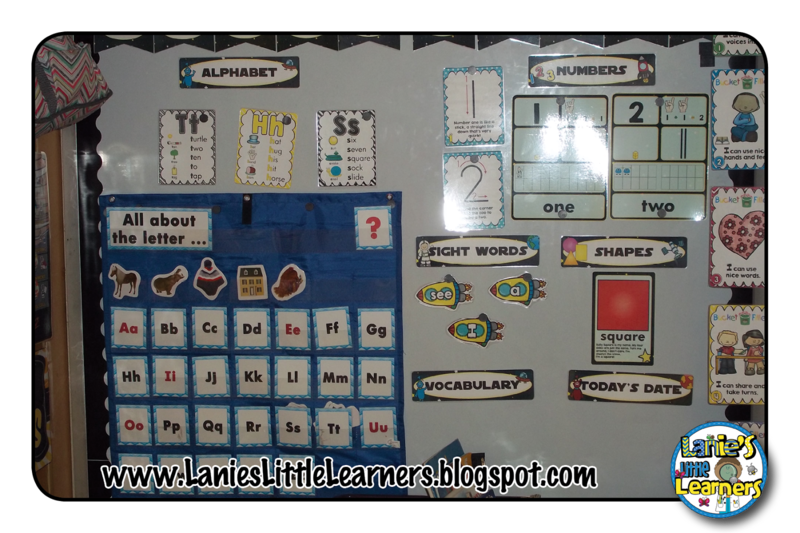 I uses these as a reference for the students during small group and also during centers. The number anchor chart incorporate the numeral, base ten blocks, tally marks, ten frames, number word, counting fingers, addition, and dominoes. 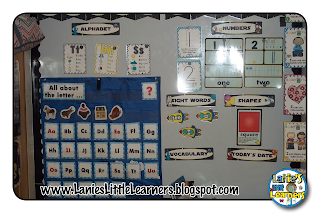 (20) Approximately 8.5” x 11” individual number anchor charts. 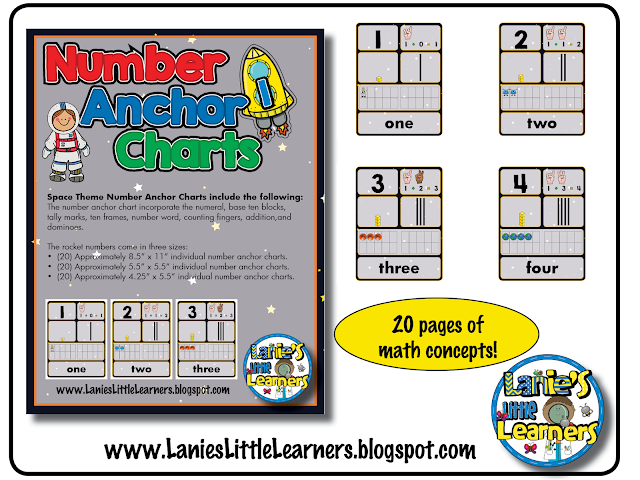 (20) Approximately 5.5” x 5.5” individual number anchor charts. (20) Approximately 4.25” x 5.5” individual number anchor charts. as part of my Daily Focus Board. 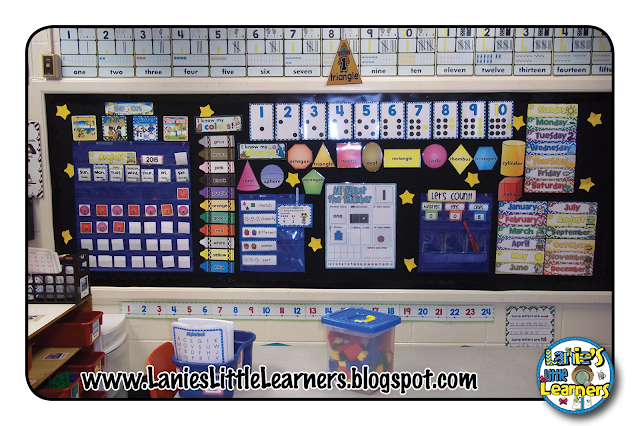 I use all of the 8.5”x 11” Number Anchor Charts along the top of my math focus board for the students to see during small group. I use the 5.5”x 8.5” size number anchor chart cards as part of my daily focus. I pin the numbers that I am focusing on for that week on the board. I also use them as flashcards. 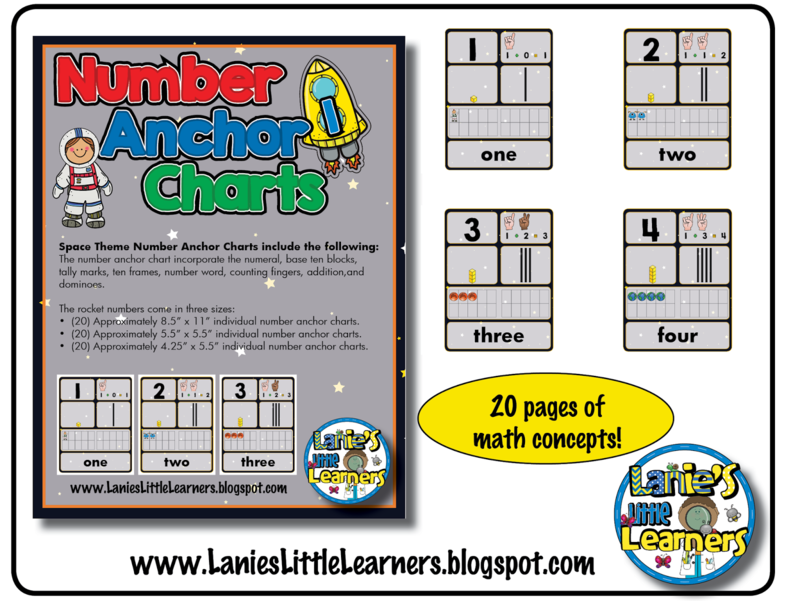 The 4.25”x 5.5” size number anchor chart cards I use in my writing center for the students to use to practice writing and identifying the number.